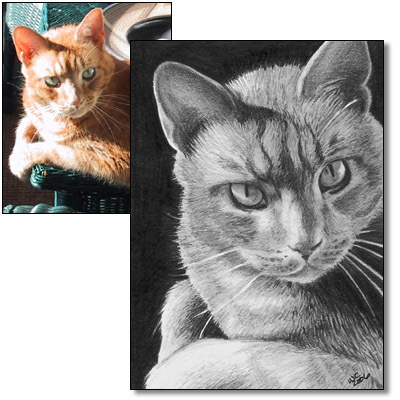 Custom portraits make wonderful and lasting gifts to cherish forever. 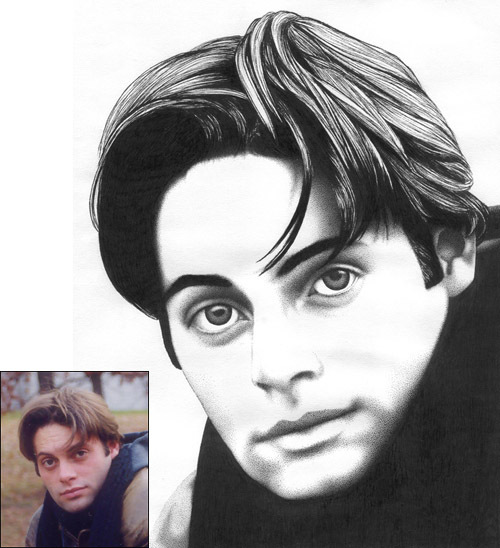 I currently offer two mediums for my portraits: Graphite Pencil and Pointillism or stippling. 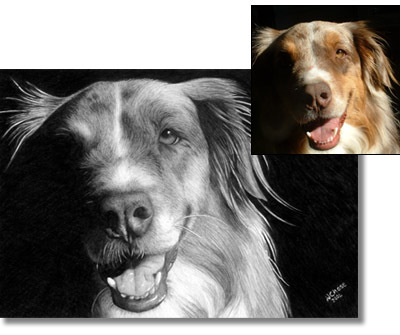 Works in pointillism/stippling are better suited to portraits of people than animals. Each portrait is created using acid-free, archive-quality paper then sprayed with Krylon Crystal Clear acrylic coating to preserve the life of your portrait. Matting and framing is not included. All works are signed and dated. Each portrait is created from a photo you either email or send to me by regular mail. 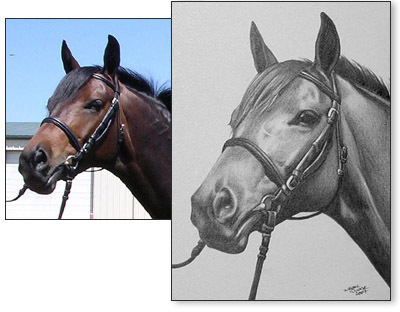 If you mail an original photo it will be returned with your finished portrait. Please try to make sure your photo is clear and of good quality. If you are local I will arrange to come to you and take my own photos to create your portrait from. I retain copyrights to all of my art, including private commissions. All portraits are carefully packaged to ship flat. Allow two to four weeks, depending on size and demand, for completion of your commission. I will stay in contact with you with a weekly email as your portrait is in works, and will email you the final work for approval prior to shipping. If you have any special requests, please feel free to ask. Shipping insurance is optional, but I do recommend it - for added safety - and available upon request. I accept personal cheques, money orders and Paypal. Please note, there will be a 15-day waiting period for personal cheques and money orders to clear the bank. I require 50% in advance and the balance upon approval of the completed commission. If you are interested in a unique and original portrait or custom commission, please email me to discuss the details.